Coyote Lakes is a golf course community located near shopping, dining, baseball Spring training fields and much more. This 3 bedroom 2 bath home features an open floor plan, and is great for entertaining with both Formal Living and Dining Rooms. The Kitchen has been recently updated to include cabinets, Granite Counters with Dining Island and stainless steel appliances. This unit features a lot of storage including a large pantry. Bay windows provide extensive natural light throughout the home. 2 car garage with a lot of additional storage. 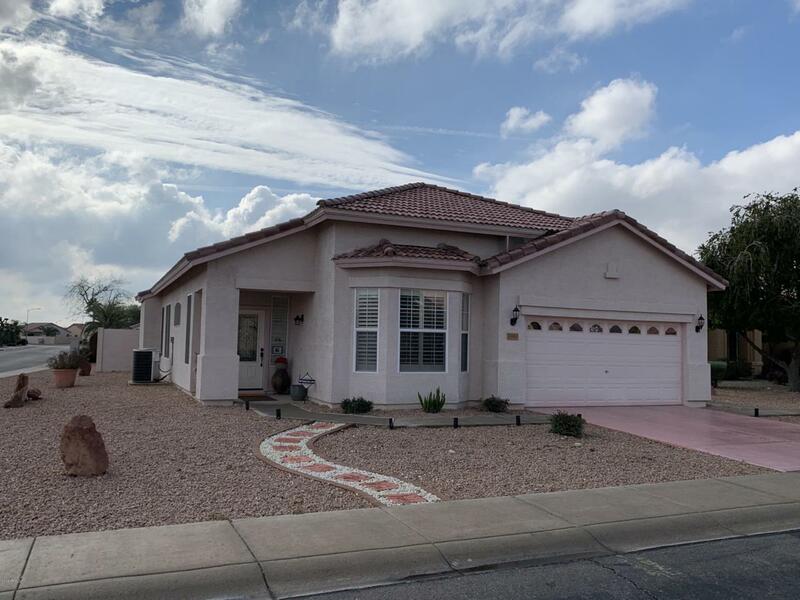 Home is located on a large corner lot and offers an Arizona Room looking out into the backyard. Coyote Lakes Club membership can be purchased for access to tennis courts, heated pool & exercise classes.